Throughout the 2018-2019 school year, we've been conducting interviews with UT AMS grads who utilize their American Studies degrees in different ways in the world outside the 40 Acres. 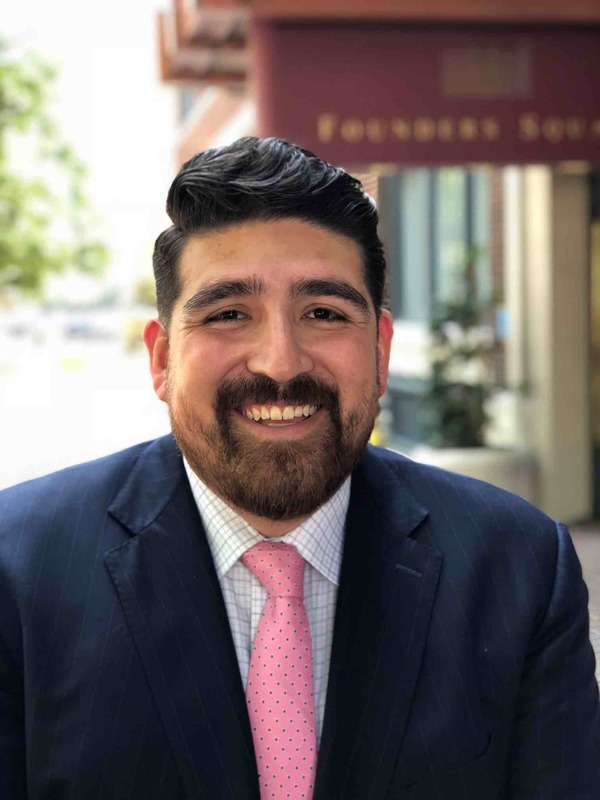 Next up in our series is Javier Perez, an employment lawyer based in Dallas, Texas. Gaila Sims: When did you graduate from American Studies at UT, and with what degree? Javier Perez: I graduated with a B.A. in American Studies with Departmental Honors in May 2008. GS: As an employment lawyer, what does your day-to-day work look like? JP: In my practice we represent people in claims of employment discrimination, retaliation, and wage and hour disputes. Like many litigators, I will spend the majority of my day reading and writing different documents for our cases, and the other part speaking with clients or opposing counsel. A couple of times a month, I will take or defend oral testimony of witnesses and go to the courthouse for a hearing. A couple of times a year, we will go to trial before a judge and jury. GS: What made you decide to become a lawyer? Did you always know that you wanted to go into law? JP: My parents both went from working in the fields to achieving doctoral degrees (from UT, of course!) and instilled in me the crucial importance of justice and the rights we all have to fairness, dignity, and opportunity. After seeing these ideals remain out of reach for many of those in my life, I recognized that the law can be a powerful vehicle to reclaim fairness and pursue social change. This is part of our history as a nation and I’m proud to play a part in that. I grew up watching Law & Order with my mom so I think that seed was planted early. But it was a long discernment for me to find employment law where I get to advocate for the disenfranchised and vulnerable everyday. GS: What projects or people have inspired your work? JP: First and foremost, my parents’ story has always inspired me because in their respective fields – English and Bilingual Special Education – they worked to legitimize and validate the experience and contributions of those who have historically been excluded or counted out. My own senior thesis referenced my Dad’s work on George Washington Gomez by Americo Paredes. I also took the Gender Discrimination course taught by Sarah Weddington as an undergrad and felt very inspired by her bold fight that took her to the U.S. Supreme Court at age twenty-five and the rigor and resourcefulness it took to realize the rights and ideals to which we aspire. In law school I interned with Austin’s Equal Justice Center, a non-profit organization that advocates employment justice for low-income workers regardless of immigration status. The work of top-notch attorneys devoting their professional careers to advocate for the oft-forgotten members of our society was and is truly inspiring. After I first-chaired my first trial, I read To Kill a Mockingbird and regretted not having done so earlier in life. Cultural works, stories, and memories of our shared history form our perspective and values. This affects everything about how we see and assess the world around us. GS: How does American Studies inform your work? How does your background in American Studies help you in your work as an employment lawyer? JP: The Amrican Studies emphasis on writing is something I use everyday. But more specifically, examining the motivations and actions through the lens of history and culture is directly implicated in employment law. One of the main statutes we use, the Civil Rights Act of 1964 (“Title VII”), has been interpreted by courts throughout our history as our cultural values have evolved. Understanding why and under what circumstances informs how I evaluate cases today and how I present cases to judges and juries – in a way that resonates beyond just the facts at hand. Right now, for example, our collective view on immigration and sexual harassment (e.g., #MeToo) is making a huge mark on how we and other attorneys prepare and present our cases. But we are so much more effective if we understand how we got here and how our audience might view that journey. GS: Do you have any advice for students in our department about how to get the most out of their experience at UT? JP: Take advantage of the overwhelmingly diverse cultural and intellectual opportunities available everyday on campus. Seek out speakers and programs that will deepen your knowledge and thought about issues that are important to you, but also challenge yourself to engage with people who think differently than you or with whom you are unfamiliar. It will broaden how you view the world and its complexities, but also make you more effective at engaging with and persuading people from different walks of life. GS: Do you have any advice for students in our department who are interested in pursuing work outside academia, but still want to utilize the training they've received from American Studies? JP: American Studies, like many things, gives you what you put into it – so invest in your interests and dive in to individual or specialized study. The faculty are all extremely well rounded but have very interesting research interests; find those that research things that you want to at least explore and seek out their guidance. Take advantage of this time to develop the way that you think and the way that you write, both of which will be invaluable no matter where you go.